Free glycans consist of monosaccharide residues and are not part of complex carbohydrates. Examples are free oligosaccharides and polysaccharides. Glycoproteins and glycolipids, which are complex carbohydrates, are structures in which glycan moieties and aglycone are bonded. Protein is a macromolecular compound in which a large number of 20 kinds of L-amino acids are linked in a chain form, and it is one of the important constituent elements of organisms. Glycoproteins are produced by glycosylation as a posttranslational modification. Lipid is a molecule existing in organisms having long chain fatty acids or hydrocarbon chains or derived from organisms. A gene is a genetic information encoded by its base sequence with DNA as a carrier in most organisms. Disease is a state in which something bad or inconvenient has occurred in the heart and body of humans and animals. A sample is a material such as urine, blood, tissue, cell, protein, etc. obtained from a human, animal, or a plant. 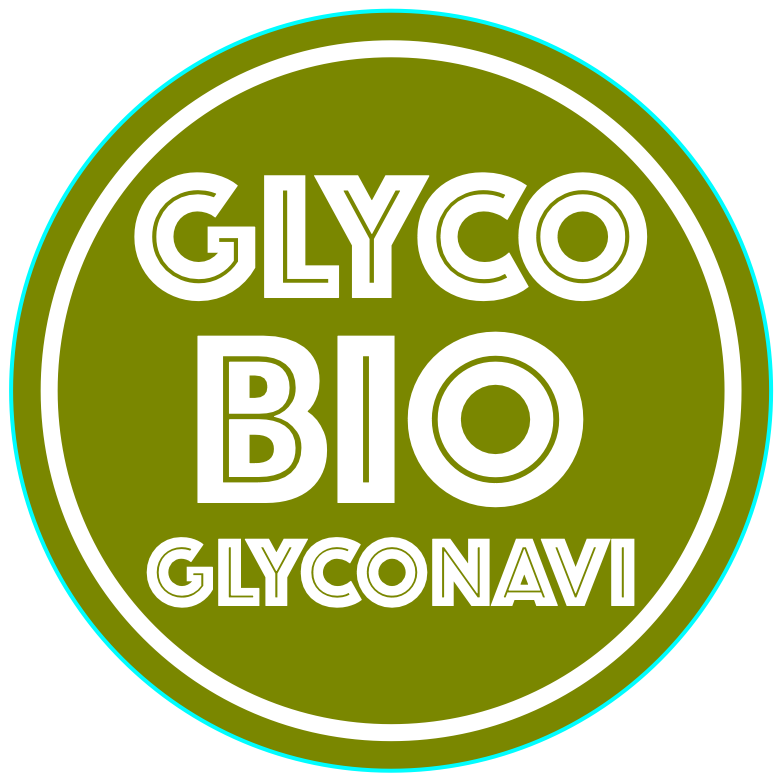 GlycoNAVI is a support site for glycoscience. GlycoBio dataset is a tool for carbohydrate researchers. These datasets are linked to various glycan related databases. These database links are linked not only to glycans but to life-science databases, and researchers can obtain various information. JSPS KAKENHI Grant Number (16743774, 258054, 268039, 15HP8048, 16HP8040 and 18HP8035).